Naveen Mor appeared in the best shape he’s ever been in as he battled Sonu Pahlwan for the first prize of Rs. 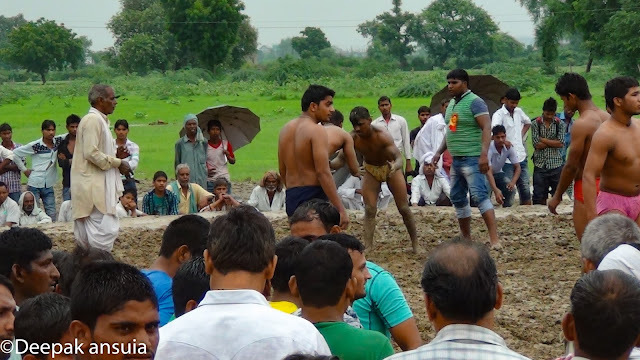 600000/- in the main event of a great dangal in the village of Chhatikara. 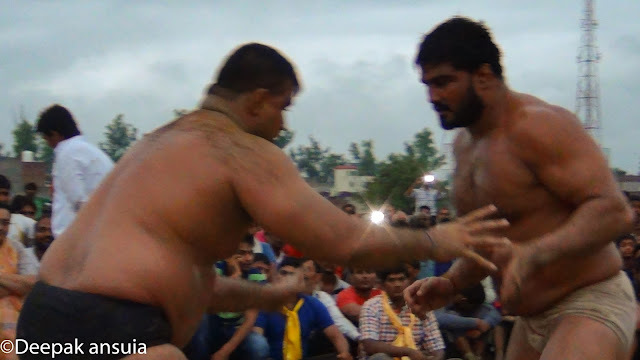 Naveen, an international wrestler who has won three consecutive gold medals at the World Police Games, controlled Sonu for most of the match. 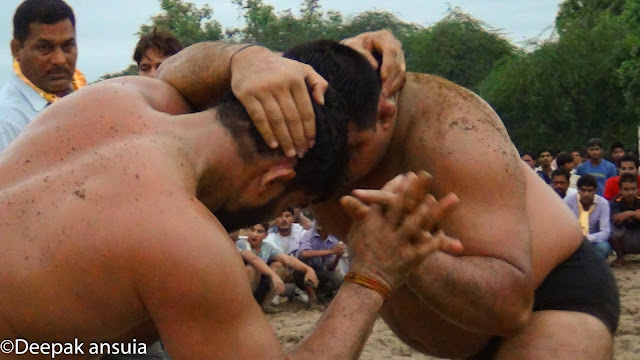 Sonu, however, is a very tough wrestler and defended well against most of Naveen’s attacks. 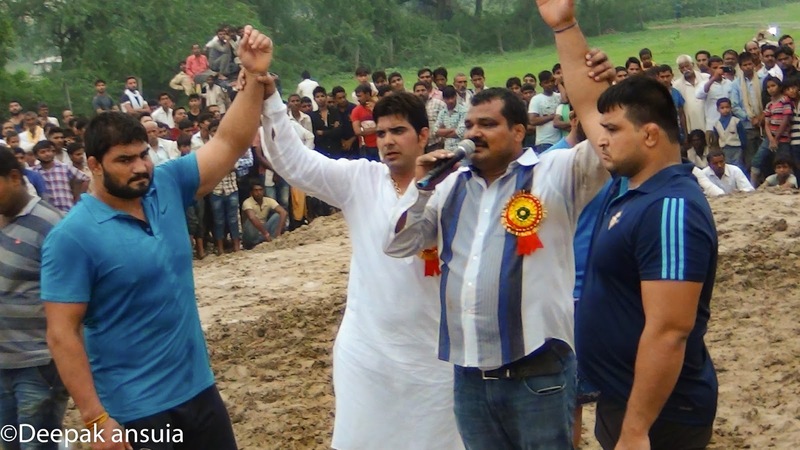 In the end, neither Naveen, of Padamshree, Dronacharya Guru Hanuman Akhada, and Sonu, of Mandoti Village in Haryana, could secure a fall, and the match was declared a draw. The dangal, which was held on 11 August, was organized by Lokender Pahlwan on the occasion of Teej festival. Mathura Brindaban, where the village of Chhitikara is located, is also called Brajbhumi, meaning the birthplace of Lord Krishna. 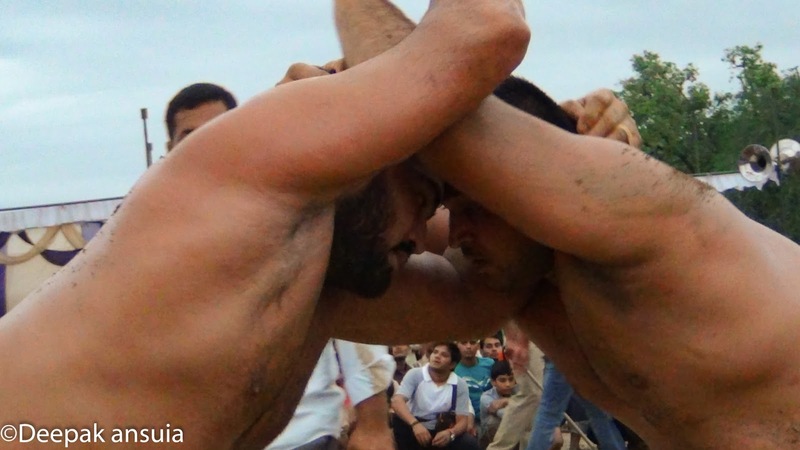 Wrestling is very popular in the area as can be seen by the large number of wrestling schools. 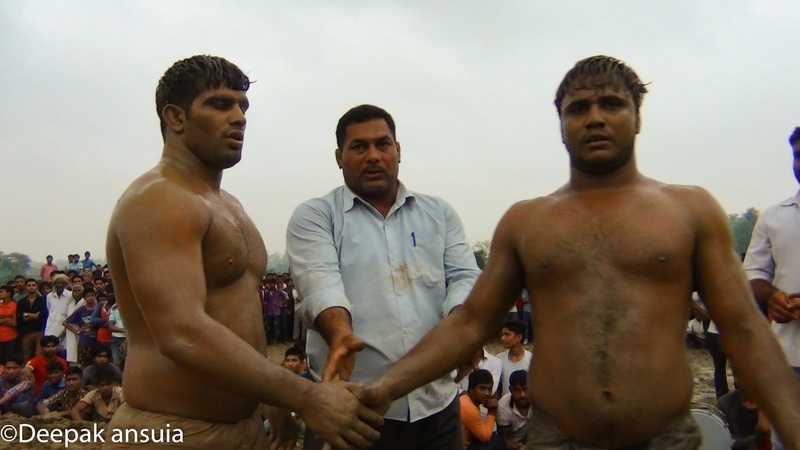 Another impressive bout was between Deva Pahlwan of Buteshwar Akhada, Mathura, and Kuldeep of Leelu Pahlwan, Ladpur Akhada. Deva is a local hero and despited being lighter and shorter than Kuldeep, managed to hold his own in the Rs. 100000/- match. Other matches were between Fire Nagar and Dharmbeer, Chitra and Bikram, Braj Kesari Subhash and Braj Kesari Hanuman. All ended in draws. 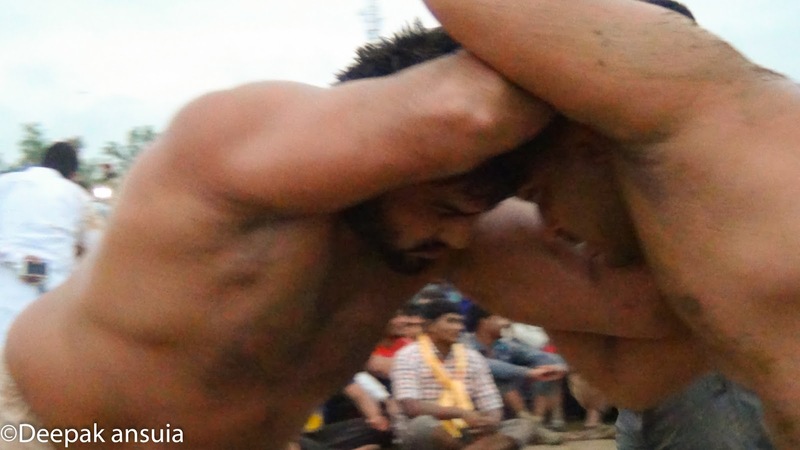 Ajruddin and Kalua Pahlwan won their matches. 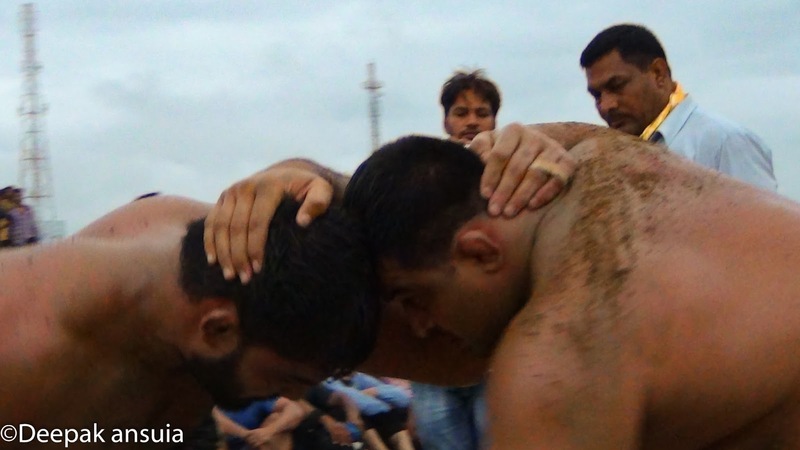 Many younger wrestlers also had the chance to compete. As the tradition goes, the dignitaries and wrestling gurus and coaches were felicitated and given some cash.